I work for a software company in the US. I decided to take some vacation time and fly back home (to one of the former Soviet countries). My manager asked me to grab a work laptop with me to perform some tasks remotely. I remember I was going home several years ago and got my personal laptop that time, and a simple adapter from US type outlets to European type (I guess they call it Type C or Type F). It was more than enough to use it. However, this time I'm having a really hard time to even launch my work laptop. Plugging in the power cord does nothing (the charge icon is not flashing, pressing the power button does nothing). I used a voltage checker and it showed normal voltage at the end of the cord, so the next suspicion I guess is either the battery has died, or I need some really special adapter to make this HP laptop work. Has anyone had this problem before specifically with HP brand? Any suggestions or pointers in the right direction are higly appreciated. Thanks a lot people! There's nothing in your pictures that indicates that they shouldn't work on a European grid. I think you need to treat this exactly like any other instance of: My laptop and/or its power brick died unexpectedly while I'm traveling. Call HP in the country you're in and get the address of resellers or repair centres close to you who might be able to sell you a new (local) power brick. Call your boss and get his/her blessing to buy that and expense it later. (Also get them to find out if your company has any worldwide service agreements that cover the laptop). When you're there, ask politely if you can plug your laptop into one of their supplies for a minute or two, to make sure it is the power brick rather than the laptop that's dead. If it's the laptop, then you're in greater trouble. Try a power outlet outside your room/hotel. It is known that in several countries, namely Italy, the electric outlets in many famly/small chains hotels are only good enough to drive electric shavers or similar devices on purpose. 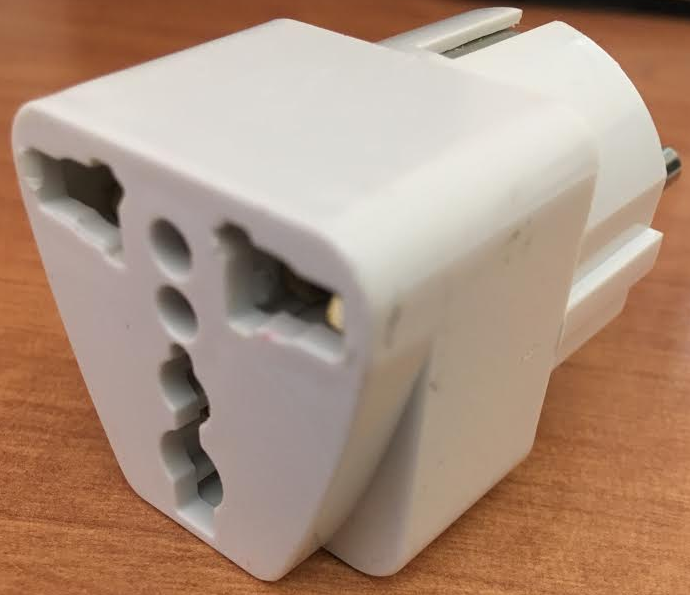 Whilst it does not appear your case, it could also happen all your room outlets are broken. It already happened to me twice. Thanks a lot people for your time and patience and advice. All of you really tried to help me resolve my problem. This is incredibly ridiculous, but the problem was not in the cord or adapter or any kind of hardware. I called HP support center to figure what might have gone wrong. It seems like I shut down the laptop before my flight, but what (probably) happened is the laptop didn't shut down correctly, rather went to hibernate mode. the user has to hold the power button on the laptop for 10 seconds. Before he/she sees some light flashing on the keyboard then release this power button. What is this: security feature? Power saving feature? Bug in the software? God knows! And I've been struggling with it several days. Not the answer you're looking for? Browse other questions tagged electronic-items power or ask your own question. What's a good way to generate solar electricity while driving? Where can I charge my laptop at SFO internationational terminal? How can I measure and log the amount of radiation while being on a plane? 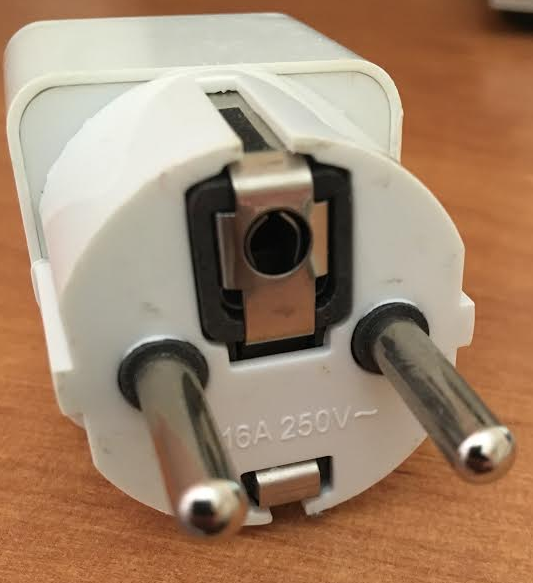 In USA, do I need a 220V to 110V voltage converter for my India 220V laptop?